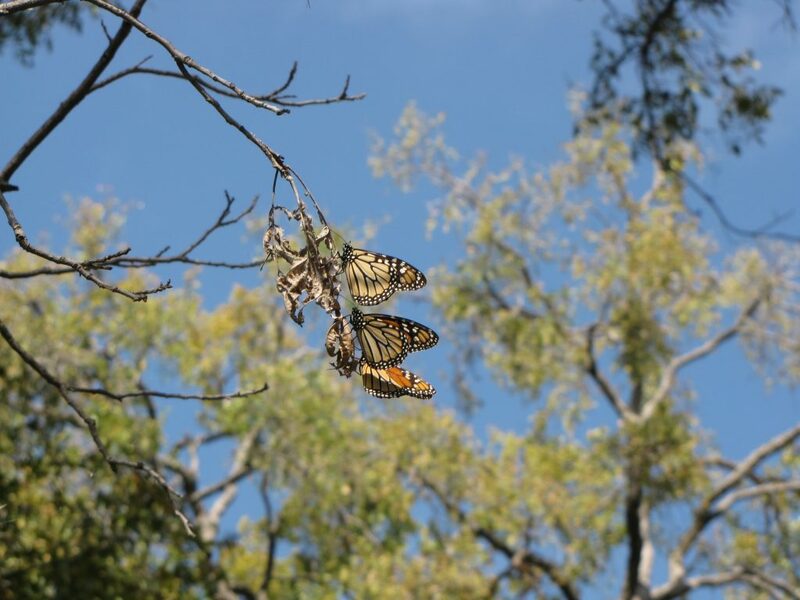 Hundreds of Monarch butterflies were stuck in a holding pattern this weekend along the Llano River as 20-mile-per-hour wind gusts postponed their journey south. We observed several small roosts and many clusters. All were holding tight to pecan tree branches or seeking refuge in the low persimmon trees hugging the Llano’s limestone cliff embankments when not battling the winds in their attempt to move south. Paddling my kayak into the wind made me even more sympathetic than usual to their travails. It sure helps if the wind is on your side, and this weekend it wasn’t. My husband Bob Rivard and I tagged more than 130 Monarchs in 24 hours. The insects’ orange-and-black coloring made them perfectly camouflaged in the autumn colors of the pecan tree leaves–even more so in dappled afternoon light. 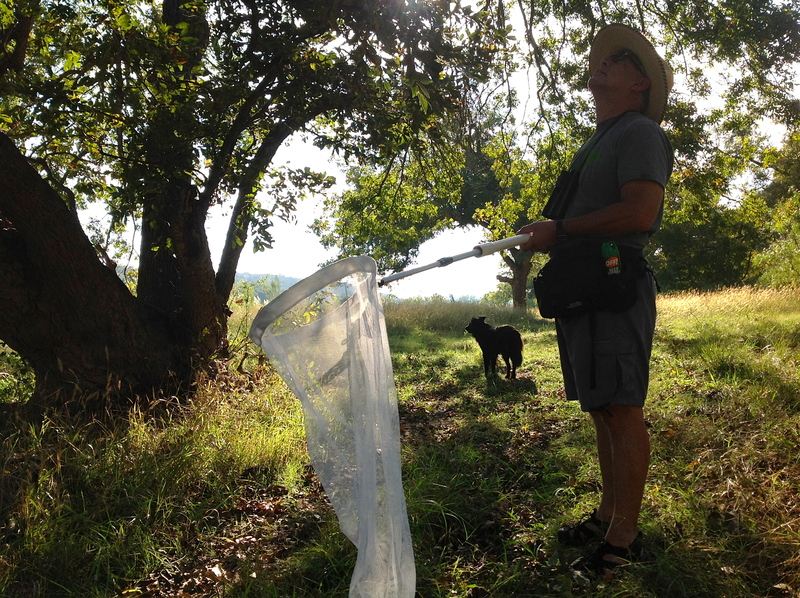 Bob Rivard tags Monarch butterflies on the Llano. Bob won the Big Swoop contest this weekend with 12 in one net. While Monarch butterflies were ubiquitous, their numbers appeared drastically reduced compared to years past. How to tell? Usually, we see clusters of hundreds. This year it was clusters of 10s and 20s. Usually, we can snag 20 or more in one lucky swoop of the net. This year, the record (hat’s off to Bob), was 12. A common pose on the Llano this weekend: Monarch butterflies hang on tight to a pecan tree as winds from the South stall their migration. Of the hundreds we saw this weekend, only one Monarch butterfly was spotted nectaring. Usually dozens of Monarchs break from their flight in the late afternoons and evenings to fuel up on abundant Frostweed or Goldenrod. Not this year. The insects seemed hell-bent on moving south. Trolling up and down the banks of our stretch of river, we spotted the tenacious flyers fighting the wind, pushing into its gales, only to be forced back with a wind gust and advancing only a few yards south at a time. As Sunday afternoon rolled around, we found ourselves netting Monarchs tagged on Saturday, thus making the case that their efforts to move south were stymied. 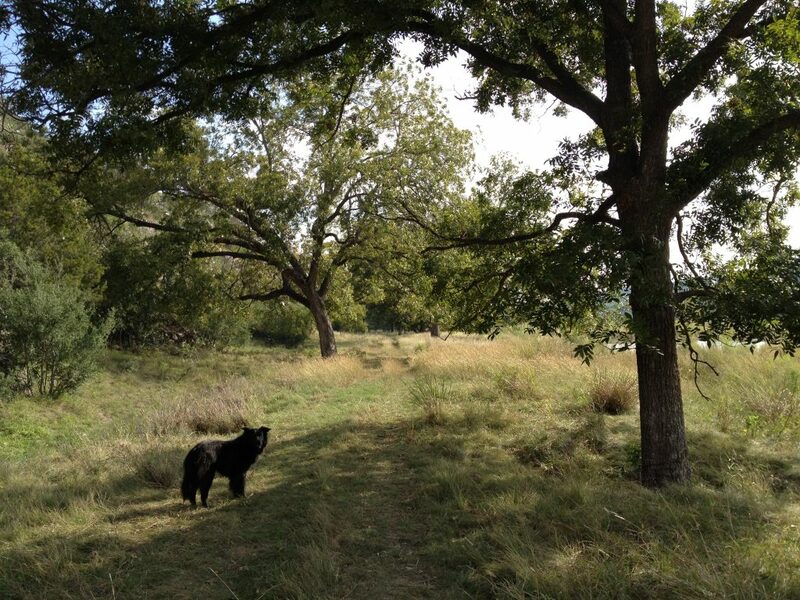 Cocoa Rivard patrols the riverbank we call “The Monarch Spot,” a favorite resting and roosting area for migrating Monarch butterflies on the Llano River. While nectar sources have been depleted because of the drought, Frostweed, Poverty weed, purple aster, goldenrod, water hemlock and other late season bloomers awaited Monarchs’ this weekend, But they didn’t seem interested. A strange year, hopefully an aberration, but I fear that’s not the case. From 8/5/2012 to 10/22/2012 we have tagged 75 monarchs in our garden here in Fullerton California. There are more waiting to be born. Still finding caterpillars. I had read in this book The Exquisite Butterfly Companion by Hazel Davies that monarchs emerging from their chrysalis late in summer reproductive organs have not fully developed. This way they will mate after migration, but I am still seeing them mate in my garden. Also for the first time I have a new caterpillar not sure if it is the Queen or the soldier. It has three pairs of fleshy filaments. Are there any other group tagging efforts that will be organized in the weeks to come? We ordered our first set of Monarch tags hoping to at least get to tag a handful this season, but we haven’t seen any in a few weeks (in Pearland, TX near Houston). 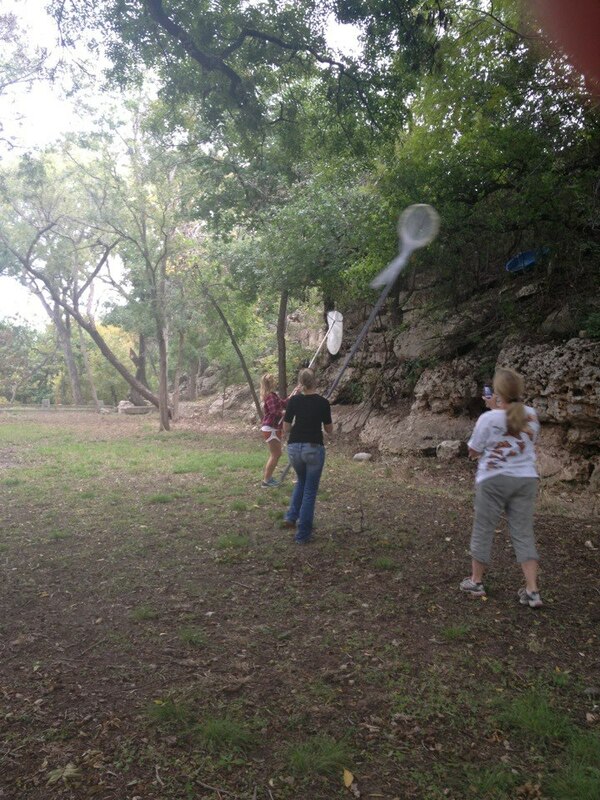 I would love to come to the hill country with my family if you think there is a chance we could still get a change to have a tagging experience. We are novices and any suggestions would be welcome and appreciated! I think you will have monarchs migrating along the coast soon! A few were reported in Port Lavaca this weekend. Check the maps each day. 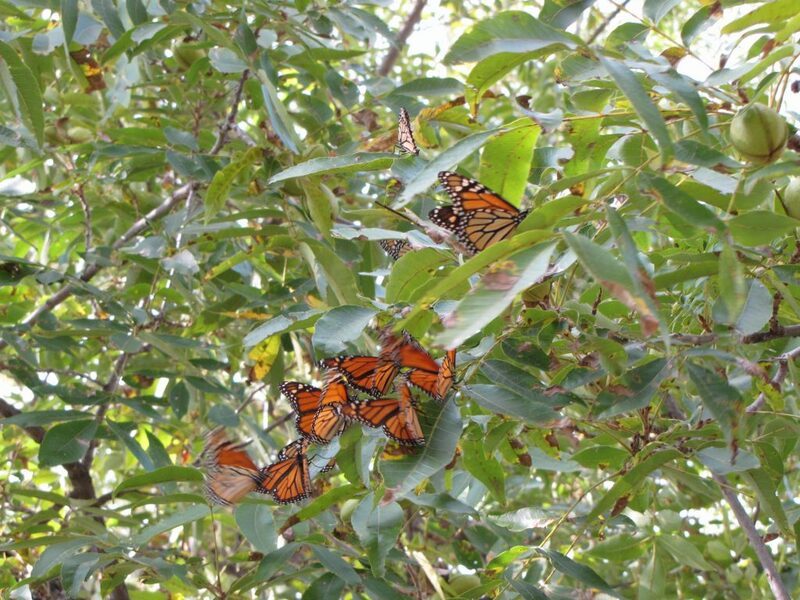 The coastal flyway monarchs are about two weeks later than the central Texas flyway.